Are you looking for ways to increase your space on Dropbox. Cloud storage services offers a min. amount of free space to everyone who signs up, but you can often get more. 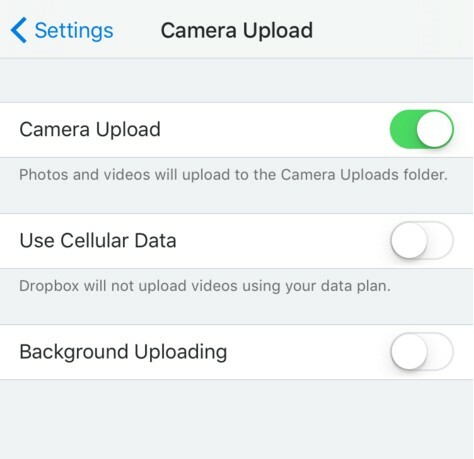 Most of us use Dropbox everyday, from saving files to access on multiple devices or computers to quickly share screenshot. Dropbox is basically an online file storage services that allows users to upload, share & access folders and files via mobile or desktop. It is a premier file backup, sharing & sync solution. If you want to increase your Dropbox space without paying the monthly Dropbox fees. Then, today here in this article I will teach you the best yet lesser knows ways to get more Dropbox space for free. The more Dropbox storage space you have, the happier your computer will be. “If you have a free account, you can earn up to an extra 16 GB of free space from referrals”. 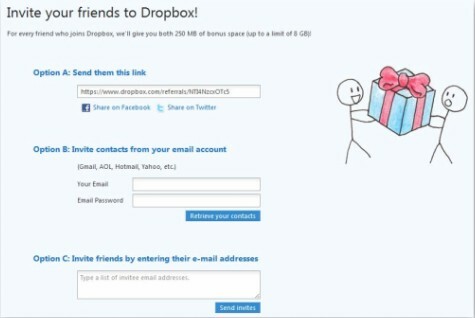 One of the best method to get the free Dropbox space is to refer or invite your friends to Dropbox. NOTE* – Please note that sharing a folder doesn’t count a referral. 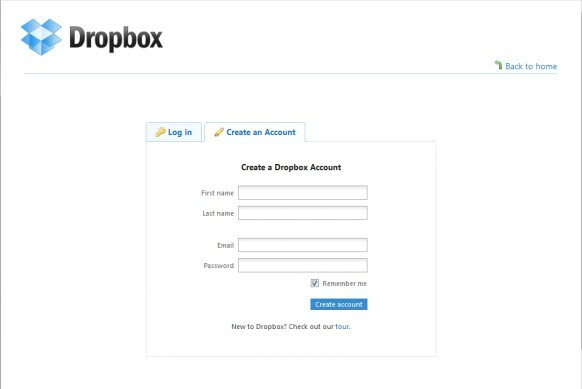 This is the simple method to get the free Dropbox space by just signing up to the Dropbox account or just creating your account on Dropbox. 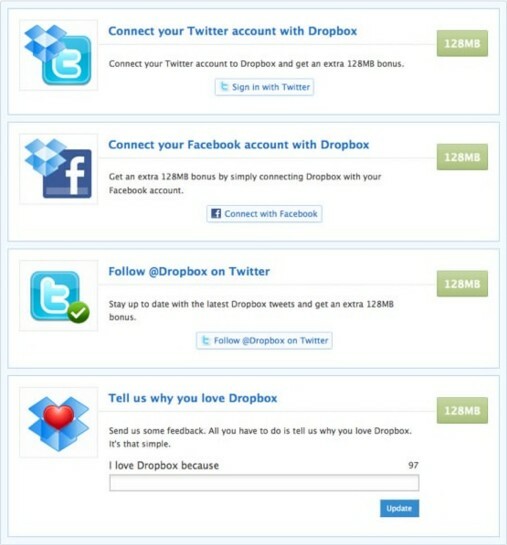 You can also get some free Dropbox spaces by just connecting your Popular social media accounts to the Dropbox. You can get the free Dropbox space by Carousel. Carousel is the new media gallery from Dropbox for storing your images and the videos. If you use cloud storage to store your photos, then you should get carousel. Just Get started by carousel and you will get 3 GB of storage space on your Dropbox account for free. 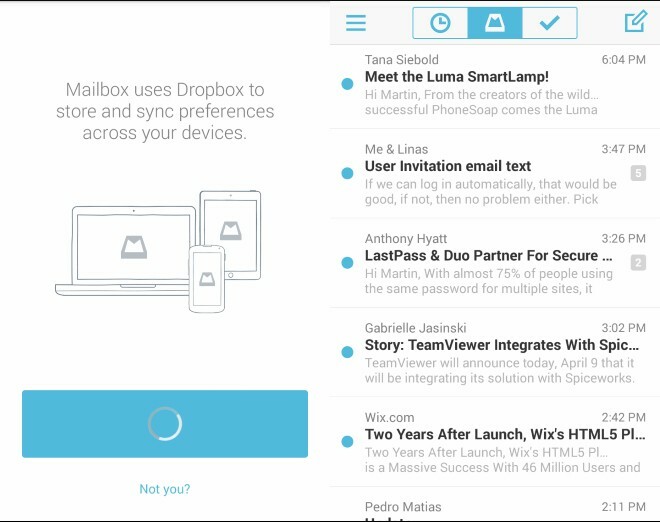 From Mailbox, you can get free gig of Dropbox space simply by just installing the Mailbox App for iOS or Android, then link your Dropbox account with this app. That’s it, Now you will automatically get the free Dropbox space. One of the best way to grab the Dropbox free spaces is to regularly watch out the challenges posted on the official Dropbox blog. Dropbox always launches different challenges for Dropbox users. You can complete those challenges ti get more Dropbox space. These are the some of the popular ways to increase your Dropbox Space for Free. Hope you liked and enjoyed this post. It will surely help you to get more Dropbox Space for Free.